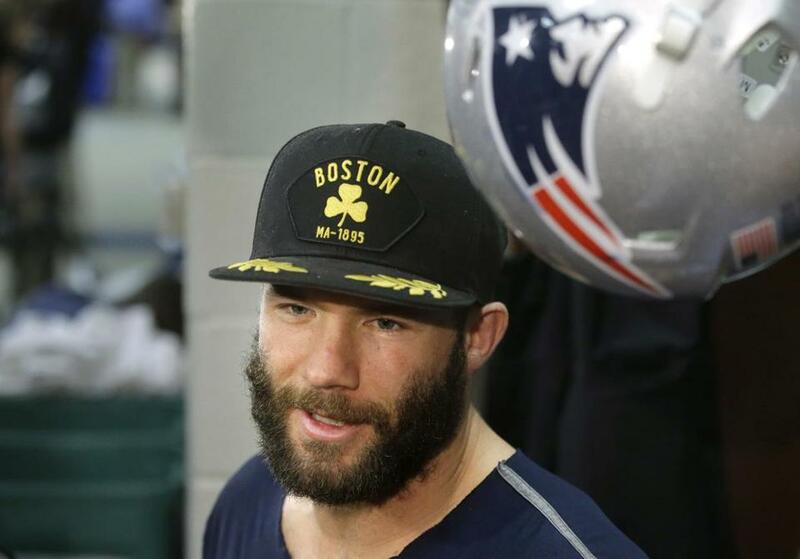 Patriots receiver Julian Edelman will reportedly have his name added to the birth certificate for Lily Rose Mary Edelman very soon. Leave it to TMZ to get a copy of the birth certificate for Julian Edelman’s new baby. According to the website, the child’s full name is Lily Rose Mary Edelman. Interestingly, while the birth certificate lists the child’s mother as Ella Rose, the box provided for the father’s name is blank. There’s apparently a simple explanation: Parents who aren’t married both must be present when a name is added, and Edelman was on a plane back to Boston soon after the birth. A source told TMZ that the Patriots pass catcher’s name will be added to the document very soon. Last week, Edelman posted a picture of himself with his daughter on Instagram.